As a kid growing up in the 1970s, I had the great pleasure of actually seeing a Bruce Lee movie in the theatre. I was so obsessed with the martial arts icon that I begged my father to take me to see his movies not once but usually 5 or 6 times, never once getting bored. Remember this was before we had Netflix, DVD players, or even the good old VHS players! Even to this day, 47 years later, I find myself sitting on the couch catching bits and parts of Enter the Dragon on late night TV. It helped that my father was a martial arts master himself. 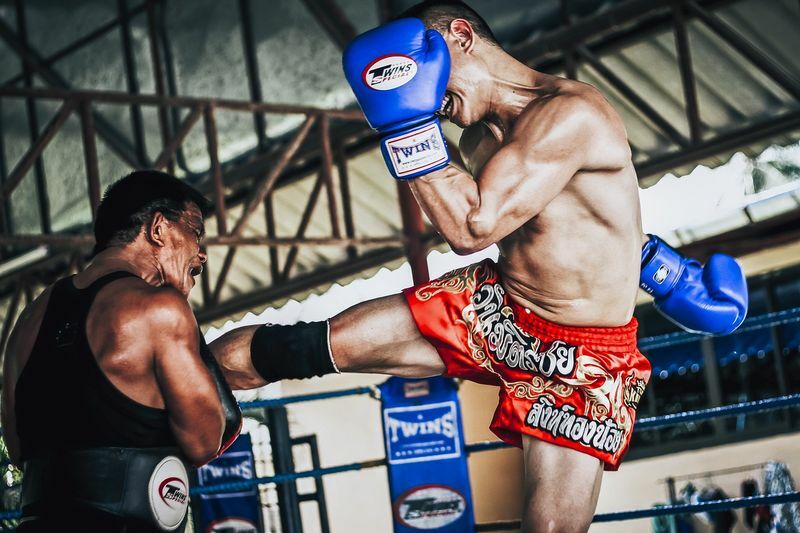 He taught martial arts on the side and ran a restaurant full-time. In 1979, when I was 9 years old, he ran into financial trouble and was forced to declare bankruptcy. For many years, the family struggled to make ends meet. My father worked as a delivery driver for Kentucky Fried Chicken as source of stable income. In the meantime, he started a new business producing bean sprouts for the local Chinese restaurants. The new business began in the basement of our tiny home and lost more money in the first few years then it made. During this period, my parents fought over money on a nightly basis. I remember our fridge was often bare, and we sometimes had our heat turned off due to unpaid bills. My mom would have to boil water on the stove so we can enjoy a hot bath before we went to bed. It was equally tough for my father who is a proud man. Sometimes he came to me for change to take the bus to work. I was just young boy, all I had was what was in my piggy bank. I am 47 years old now, I can’t even imagine how hurtful it would be for me if I had to ask my child to help me out. After all, I’m the adult, shouldn’t I be the one responsible for supporting my family? These childhood challenges have taught me valuable lessons as I got older. I went to work at the age of 10 to help out with the household finances. I also got to witness my father go from dirt poor broke to a successful businessman many years later. To this day we both credit the martial arts principles of goal attainment, focus, and drive as the key ingredients in helping us succeed in any endeavor we set out to achieve. All too often especially in today’s world we all want success now. In this new technological age, we want instant gratification. If we don’t receive what we want right away we move on to the next shiny object. 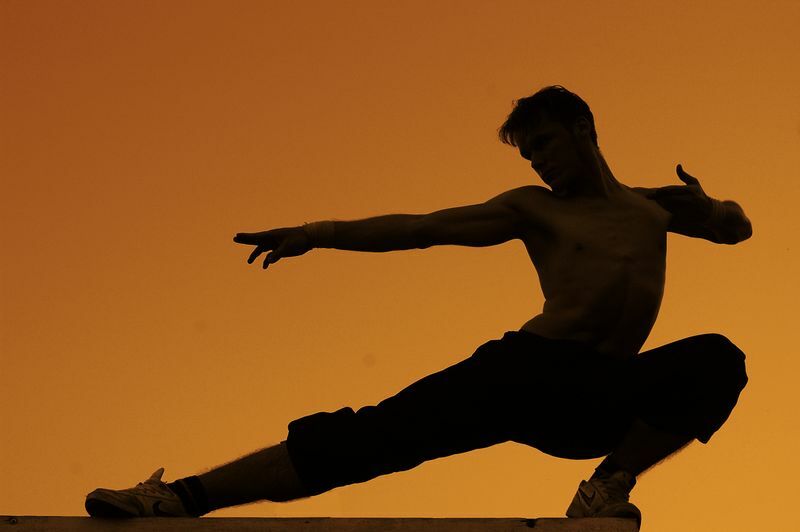 The martial arts teaches us to be patient. The road from white belt to black belt is a long journey. It takes time to master the techniques efficiently to become a true master in the art. As a Brazilian Jiu-Jitsu black belt, I find it disturbing today to see the students asking for their belt promotion. I remember back in the old days if you asked the master for a belt promotion you would wait twice as long. This is an important concept that you can apply to your life, career or a new exercise program. Don’t expect instant success. Remember all successful people faced numerous challenges, struggles and rejection before making to the top of their field. Unless you win the lottery, there is no such thing as an overnight success. Many of us like to play the blame game when it comes to our failures, mistakes and short comings. In my opinion this is the killer to personal success and achievement. We blame our parents, teachers, coaches, or others without taking a good hard look at ourselves. 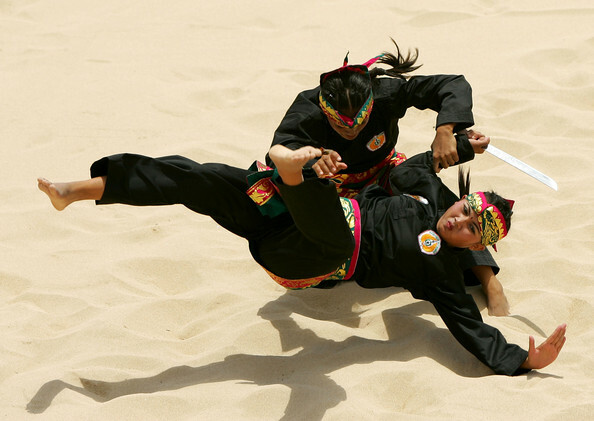 A great martial artist does not lay blame on the teacher or teammates should they lose a tournament. They take personal responsibility for his/her results. The key to be your best self is to shift your mindset to accept 100% responsibility for the outcome of your life. When you go from a mindset of blaming others to accepting full responsibility, your mind will begin to reflect deeply on your mistakes. It will begin to shift your mind from a victim mentality to a solution oriented individual. You will begin to look at life challenges as a game waiting to be conquered. Being humble is one of the hallmarks of a martial artist. However, I will say for many it’s a lot harder to practice then preach. Being humble transfers nicely to the business world and how to live your most productive happy life. Most of us were brought up to be too proud to ask for help for fear of being judged. We don’t raise our hand in class to ask for help, we don’t speak up at meetings for fear of being the “only one” to disagree, or we don’t ask for things for fear of rejection. In martial arts, asking questions about techniques is a sign of a great student willing to set aside their ego on what they don’t know. There are some students who don’t ask questions because they are shy. While there are others who don’t ask because they believe they are above everyone else including the teacher. When you implement this concept of humility in your life, leveraging the power of asking, you will skyrocket your success. For example, say you are poor at sales, but you know you need it, otherwise your business will fold. Take 1 hour each day for a month making cold calls until you get comfortable. You will be surprised at how much progress you make in that month. You may even secure a couple of lucrative clients. However, if you don’t start, you have gained nothing, and if people say no to you, what have you lost? You’ve lost nothing in the first place. Don’t reject yourself before you even begin. Just like a seasoned fisherman, keep throwing out those lines. The more lines you cast out there, the more chances of success. If you’ve been standing on the sidelines all your life, dreaming of success, but not getting the result you desire. Then, it’s time to do things differently. Get in on the action starting today, and start sharing your sacred gifts with the rest of the world. Begin living the life you’ve always desire with happiness, joy, and purpose. 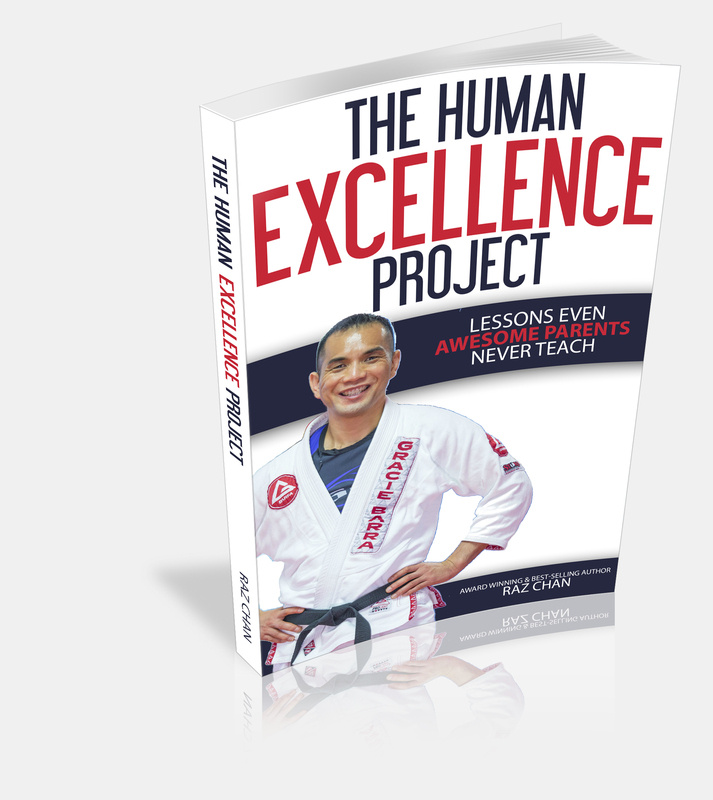 Want to get more martial arts insights from Raz or purchase a copy of The Human Excellence Project? Head on over to his website! 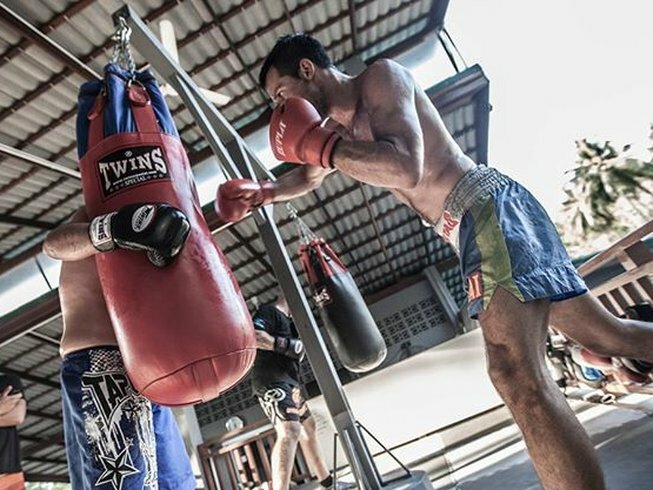 Interested in going on a training camp to experience these life lessons firsthand? Don’t miss out on BookMartialArts.com’s vast selection! Raz is an author, speaker, and Brazilian Jiu-Jitsu black belt. His forthcoming book, 'The Human Excellence Project' has been endorsed by the legendary business expert, Brian Tracy. A large portion of the sales from the book will be donated to charitable causes serving disadvantaged youth. He has been featured in the New York Times, Vancouver Sun, Vancouver Magazine, Gracie Mag, and Canada’s Fight Network.